Sonic is offering a 50 percent discount on all shakes, ice cream slushes, and floats all day on Thursday, March 8, 2018 at participating locations. All three dessert drinks are made with the chain's vanilla ice cream (the shakes are made with milk and ice cream, the ice cream slushes are a combination of the chain's signature ice slushes with ice cream, and the floats are ice cream with soda). 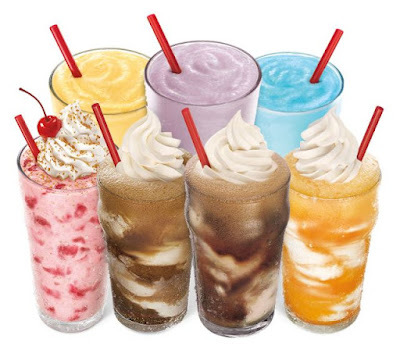 The one-day deal highlights the launch of the chain's "Sonic Nights" promotion where you can get all shakes, ice cream slushes, and floats for half price after 8 PM daily from now through the end of summer.